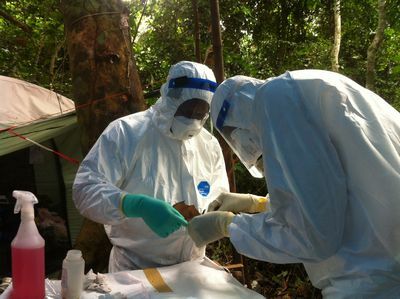 Upon request by the World Health Organization/Global Outbreak and Response Network (WHO/GOARN) and/or partner countries RKI staff supports internationally outbreak investigations. The coordination of the deployment of RKI staff and the administrative and logistic support for the international assignments are crucial for the effectiveness of any mission. The Global Health and Biosecurity Unit of the RKI is tasked to facilitate the preparation and execution of the RKI missions. 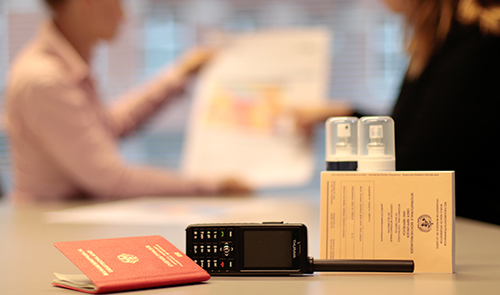 A standard operating procedures (SOP) for the planning, application, trip execution and follow-up for duty travels abroad was adapted and published the 23.10.2017 via RKI-News and the intranet. Furthermore the SOP addresses issues of occupational safety, occupational medical care and additional legal regulations such as accident insurance. The SOP focusses on resource-limited countries and/or countries with challenging climatic conditions. Since April 2017, 27 security briefings had been undertaken. In 2017 a total of 60 staff members were instructed in 35 security briefings for 18 different countries. In four countries RKI staff was deployed for missions to support infectious disease outbreak control measures. First Aid training in the field was offered and two RKI staff participated in hostile environment awareness training. A two-days workshop was conducted for project staff from BfArM, BNITM, PEI and RKI to introduce them to the film making, lighting and how to tell a story. The aim of the workshop was to support the visual documentation of the projects.